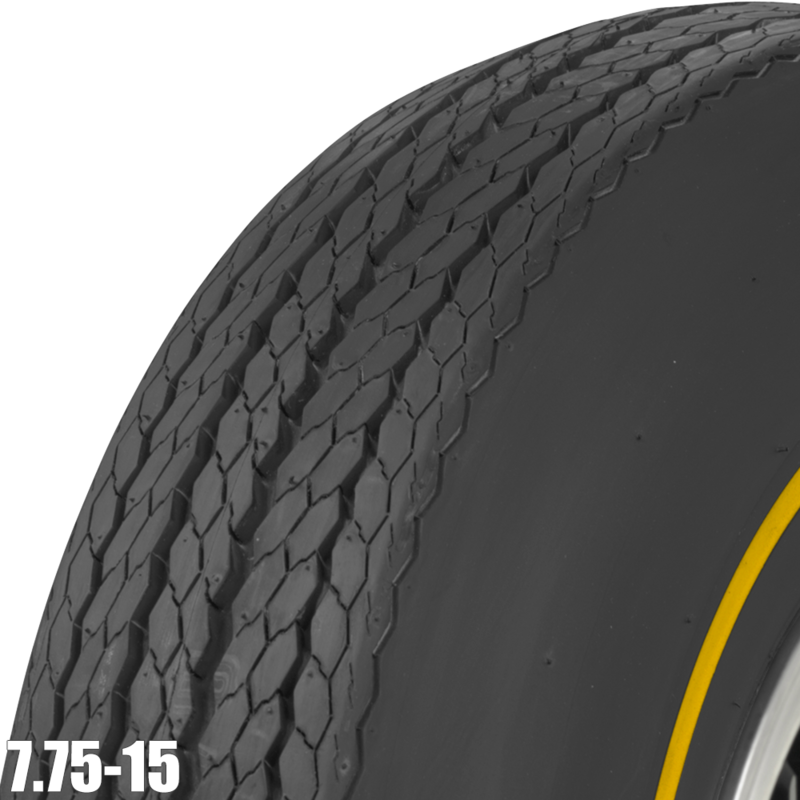 Get authentic tread designs and detailed sidewall markings on these great looking Goldline tires. 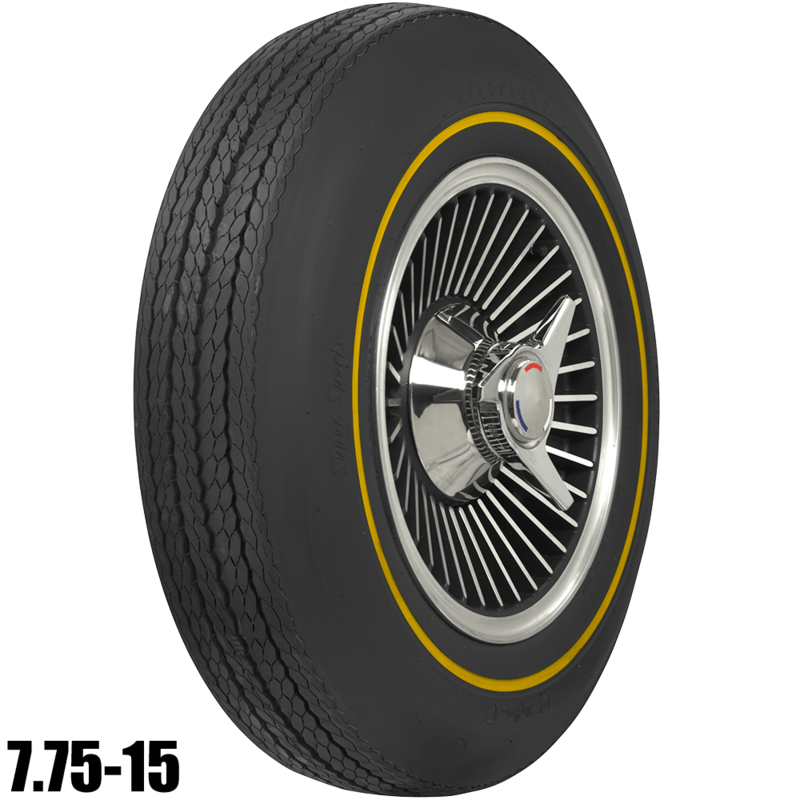 Firestone Bias Ply Goldline tires are hand-crafted right here in the USA, in original molds with premium rubber compounds for period-correct good looks and fantastic quality. 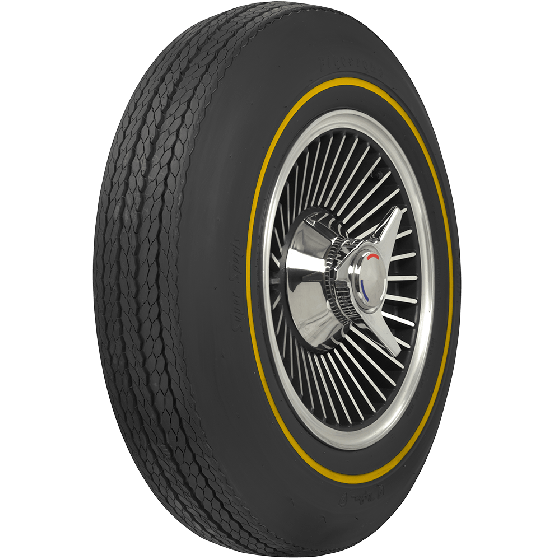 These classic Firestones are a very popular choice of 7.75-15 tires as OE fitment for 1965-67 Chevrolet Corvette models as well as many sixties Aston Martin models and mid-sixties Studebakers. 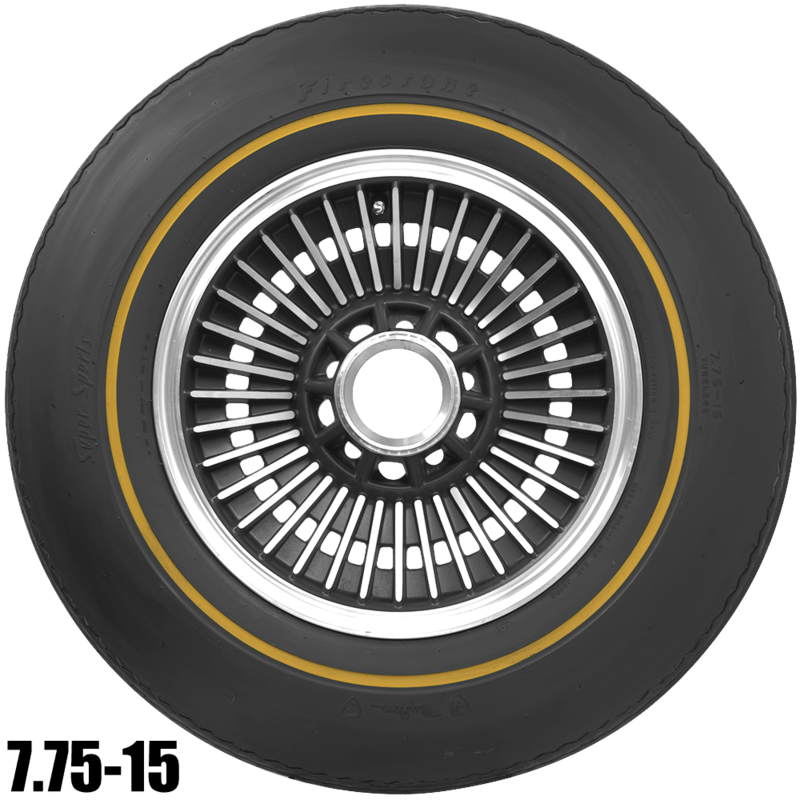 7.75-14 tires were OE on several late sixties Buicks, Chevrolets and Chrysler models. 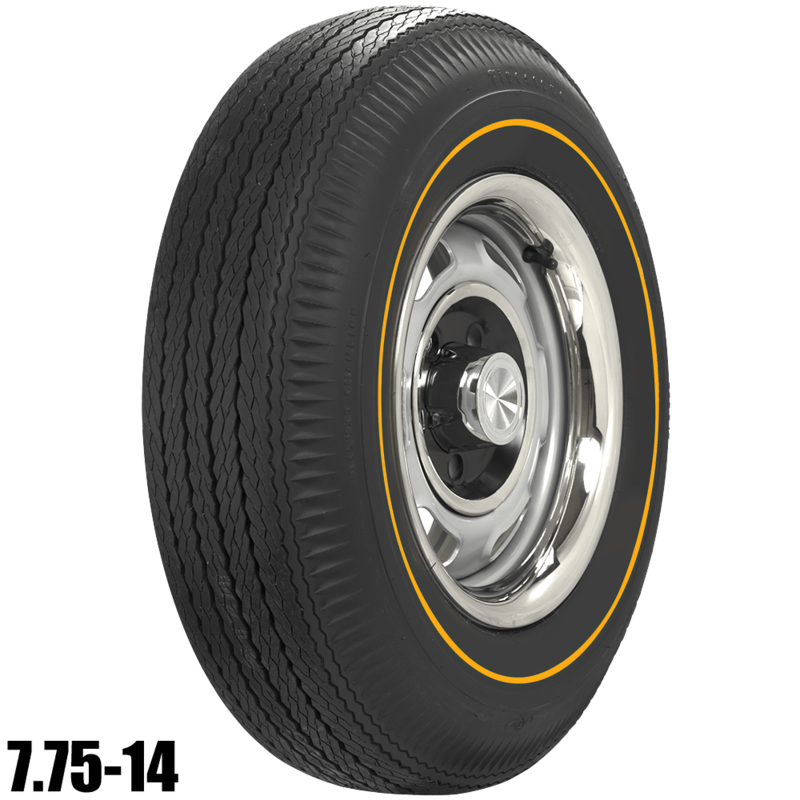 Add fantastic sixties style with authentic Firestone Goldline tires from the world's leading supplier of collector tires and wheels. 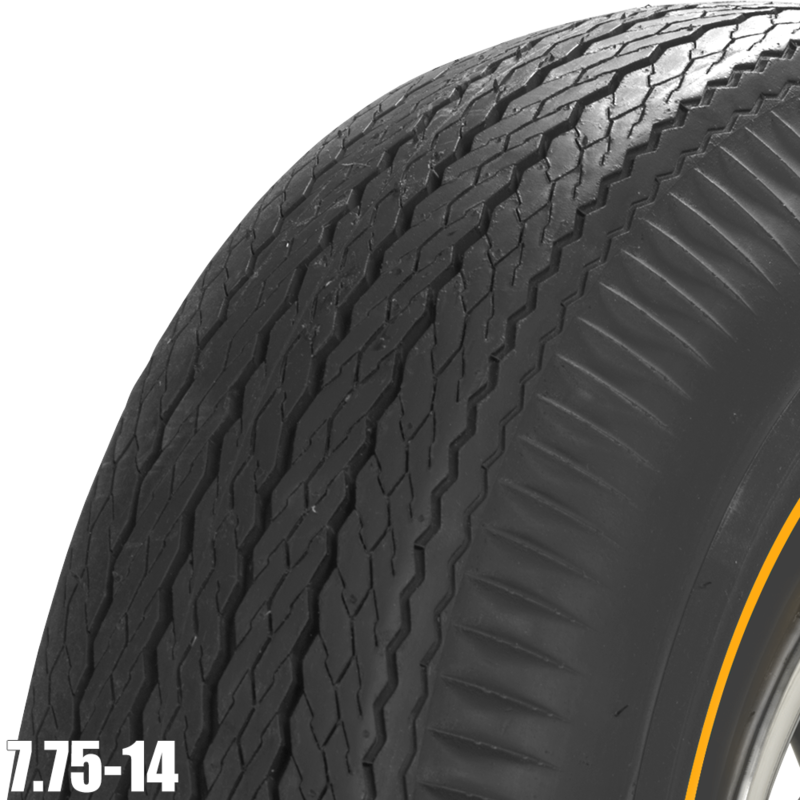 what is the height of the 7.75 Firestone goldline ? I currently have D70-14 redlines on some of my cars, looking for similair height. The 775-14 has an overall diameter of 27.02 inches. This information can be found on any tire listing under "Specifications". Either tire is correct, as both would have been available at the time. Unless you have a build sheet with the car that specifies which brand came on the car from the factory, it is entirely your choice. 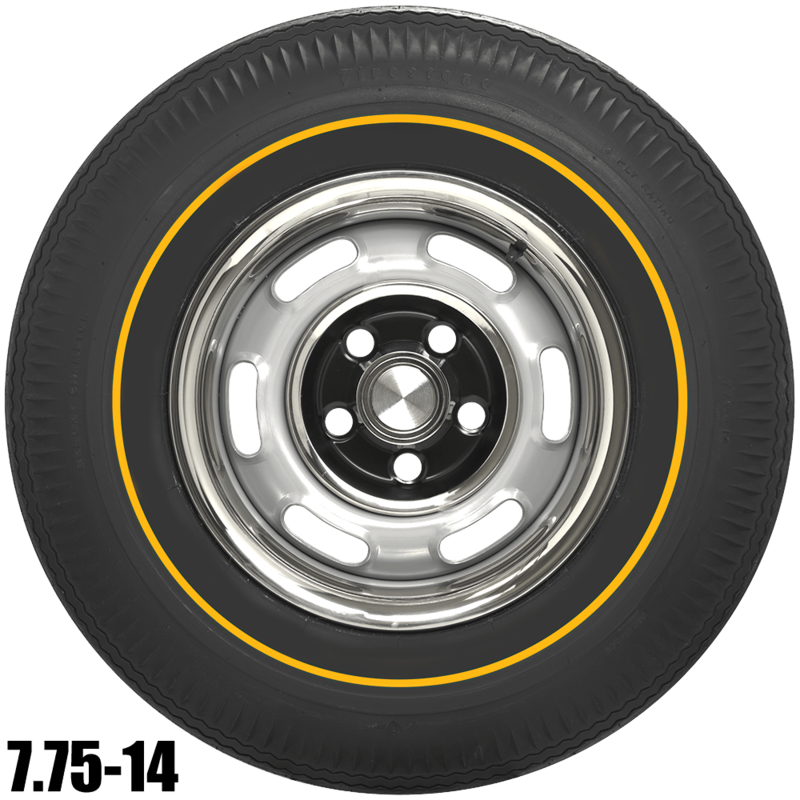 What model Firestone is the goldline 7.75-15? Super Sports? Yes, that is correct. These are the Firestone Super Sports.